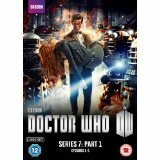 Matt Smith and Karen Gillan star as the new Doctor and his companion in an all-new series of Doctor Who. 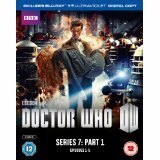 After his explosive regeneration, the Eleventh Doctor awakes to discover his TARDIS is about to crash! 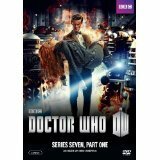 After falling from the sky, he pulls himself out of the wreckage to come face-to-face with young Amy Pond. The Doctor promises to take Amy to the stars. But first they must divert an alien plot that could destroy the Earth. 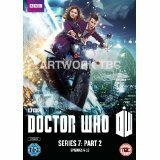 The Doctor makes good his promise, and Amy boards the regenerated TARDIS, ready to take to the stars on a series of wild adventures that will change her life. As always, wherever the Doctor goes, his oldest enemies, the Daleks, are never far behind. They are hatching a new master plan from the heart of war-torn London in the 1940s. 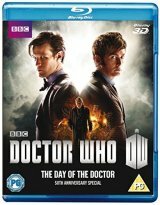 But they are not the only strange creatures the Doctor and Amy must face--there are also alien vampires, humanoid reptiles, the Weeping Angels, and a silent menace that follows Amy and the Doctor around wherever they go. 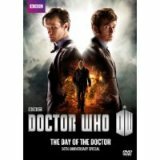 All 14 episodes from the seventh series of the relaunched sci-fi adventure drama, starring Matt Smith in his final appearances as the legendary Time Lord. 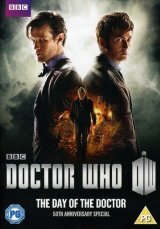 This time around, the Doctor (Smith), along with companions Amy (Karen Gillan) and Rory (Arthur Darvill) - also making their series farewell - are kidnapped by the Daleks, transported to the American Wild West and find themselves having to save Earth from an unlikely invasion. 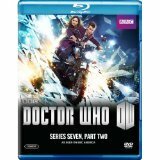 The series also marks the introduction of the Doctor's latest companion Clara (Jenna-Louise Coleman). 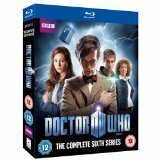 The episodes are: 'Asylum of the Daleks', 'Dinosaurs On a Spaceship', 'A Town Called Mercy', 'The Power of Three', 'The Angels Take Manhattan', 'The Bells of Saint John', 'The Rings of Akhaten', 'Cold War', 'Hide', 'Journey to the Centre of the TARDIS', 'The Crimson Horror', 'The Last Cyberman' and 'Finale'. 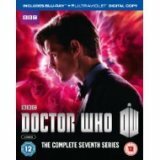 Join the Doctor, the Ponds and numerous friends on their latest escapades through space and time where they puzzle over an unexpected invasion of Earth, save a spaceship full of dinosaurs, don Stetsons in a Wild Wild West adventure, and are even kidnapped by the Doctors oldest foe. 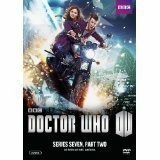 The explosive series concludes with Amy and Rorys heart-breaking farewell  a race against time through the streets of Manhattan. Will the Doctor really lose the Ponds forever? 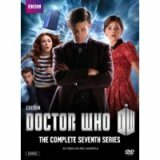 The Doctor kicks off this new run of adventures by searching for his companion Clara - an Impossible Girl he's already lost twice. 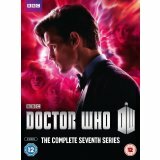 Together they find themselves battling monsters on distant alien planets, trapped in a Russian submarine with a deadly passenger, chasing terrifying ghosts, delving into the heart of the TARDIS, facing the Crimson Horror in Victorian Yorkshire, and coming face to face with an army of upgraded Cybermen. 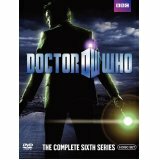 The action grows and the Doctor's oldest secret threatens to be revealed as the world's longest running science fiction series builds toward its explosive 50th anniversary. 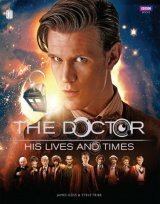 This is the story of an impossible life - of a man who borrowed a spaceship, travelled through time and continually saved the universe - as told by the Doctor's friends, by his enemies, and by the man himself. 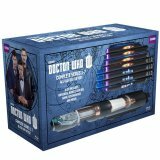 Letters, journals, trial records, secret government files and the occasional bit of tabloid journalism reveal the never-before-told story of Gallifrey's last Time Lord.